For the most part, a “salvage” title means that the vehicle could be repaired, but an insurance company instead chose to write off their losses and simply replace it with a new one. A branded title car is a vehicle sold through an insurance auction for a variety of reasons, including theft recovery, hail damage, collision, water recovery, manufacturer buyback, reject repair, and/or lemon law. The designation of salvage title on a vehicle can mean different things in different states. In some states the term salvage means that the car has not yet been approved to be sold. In other states, salvage title can be a designation that it was just a hail damage, collision or other damage in which an insurance auction wanted to recover a salvage value from the car, rather than try to get it repaired. Because of the different definitions of the salvage designation, we prefer to use “branded” and go on to disclose and educate customers on the reason that the vehicle was branded. Will AutoSource disclose why the car has a branded title or tell us what happened? Yes, we have an upfront full disclosure process on each vehicle and why we picked it. We readily share this information when you come into the store to test drive and inspect the vehicle. We show customers the parts that were replaced and more importantly because of our process – we know how the vehicle was repaired. For our Out of State buyers we can review this information with you over the phone or send you the information by email. For those of you who may be up for the challenge, please come for a visit and prior to being shown the history of the vehicle we invite you to try and determine with your own eyes if you can tell. Of course, we will always disclose the history of each car but it sure can be fun to give-it-a-go on your own. Do your cars come with a warranty? …and what about manufacturer recalls? Yes, we offer a free 3 Month / 3,000 Mile Limited Powertrain Warranty. For more information, check out our Warranty page. Good news, Manufacturer Recalls are covered for all branded title vehicles! Manufacturers are still on the hook to care of the things that matter most. When it comes to the manufacturer’s warranty, in almost every circumstance, the manufacturer warranty is null and void after a vehicle is categorized as branded. Of course, manufacturers are always looking for ways to void their warranty to escape their liability costs and reap huge profits. For those customers that prefer the benefits of additional coverage, we work very closely with our extended coverage company to make sure that we have incredible customer service, competitive pricing, responsive solutions and unparalleled flexibility. In fact, if customers are outside of the area of an AutoSource Service center, our vehicle service contracts will cover work at any ASE certified mechanic or dealer, not just a factory authorized dealer! How does AutoSource get its vehicles? AutoSource has a network of over 400 specialized and qualified body shops, mechanics and suppliers (we call them “rebuilders”) all over the country. These rebuilders typically specialize in very particular makes and models. Their expertise means faster repairs, cheaper parts costs and better quality than generalist shops can attain. We also have our own internal team of inspectors that travel to these rebuilders and put their cars through a rigorous 151-point inspection. If our inspectors like what they see and the vehicles pass our test then we acquire these vehicles and are able to pass along the savings and offer amazing value to our customers. 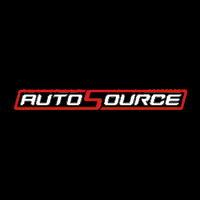 Take a look at our inventory, with the AutoSource process we are able to handpick vehicles that we know our customers want, equipped with the features and trim levels they dream about. The bulk of our cars are no more than 2-3 years old. These are the types of vehicles where we believe we can unlock the most value for savvy shoppers. Can I get Insurance for a car with a branded title? Yes! Absolutely. After more than a decade of owning and selling branded title vehicles to family, friends, and valued customers, we are aware of only a few insurance companies that will not fully insure branded title vehicles from AutoSource. An insurance company’s primary concern is knowing that every vehicle is safe and roadworthy, and AutoSource vehicles that have been through our rigorous 151-Point Inspection and regular safety/emission inspections, easily meet their criteria. Another thing to keep in mind here is that we’ve sold over 30,000 vehicles, all of which have needed insurance coverage. Insurance is absolutely attainable and if you would like a referral to someone with whom you could speak about the matter we’d be happy to provide one.